The Interurban Trail, a popular route for non-motorized commuters in the Kent Valley, is a nearly straight, paved trail over 14 miles long, starting near Fort Dent Park and ending in Pacific, Washington. 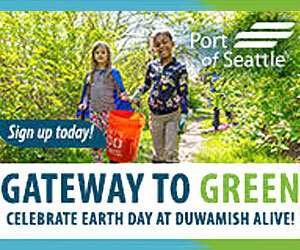 There are two more unattached segments in Edgewood and Milton, and another 24-mile-long segment between Seattle and Everett. The story behind our unique trail is fascinating. Before the 1900s, a horse-drawn wagon trip from Kent to bring produce to Seattle could take five hours or more. 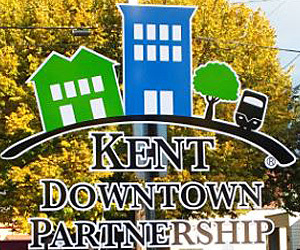 Farmers would leave Kent around 3 AM to get to the market. Even in the early 1900s, the roads were all dirt and gravel, and the speed limit was around 12 miles per hour in spots, so despite the low traffic compared to today, it still took well over an hour to drive to Seattle. 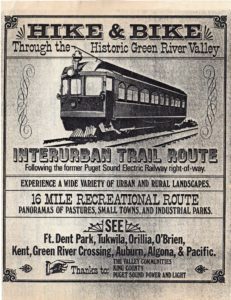 Two Tacoma promoters organized the Seattle-Tacoma Interurban Co. in 1900. Their plan was to build an electric railroad connecting Seattle to Tacoma. Construction was finished and the first train started operation on September 25, 1902. The Interurban passenger cars were handsome, painted green with leather and metal seats, run by blue-suited conductors and motormen. The inside of the cars had inlaid and carved mahogany wood panels. Painted green and gold ceilings arched overhead of the passengers and they had large windows with leaded glass upper sashes designed to let in cool air in the summer. Each coach seated 44 people, and they often ran standing room only. The express trains ran between Tacoma and Seattle in about 70 minutes. The “locals” could stop over 21 times and still took only about 95 minutes for the whole trip. This was much faster and cheaper than the steam railroads and steamships that were in operation already. A round-trip ticket was only one dollar on the electric train. Along the flat stretches between cities, the Interurban would win impromptu races with steam trains running parallel to their tracks. The commuters loved it. Many kids used the Interurban to get to and from school each day. For some, it was taken for a weekend trip to Seattle or to a favorite fishing spot as a treat. Others commuted to work everyday by the train. Riding the Interurban was a must for tourists to see the beautiful farmland it traveled through. 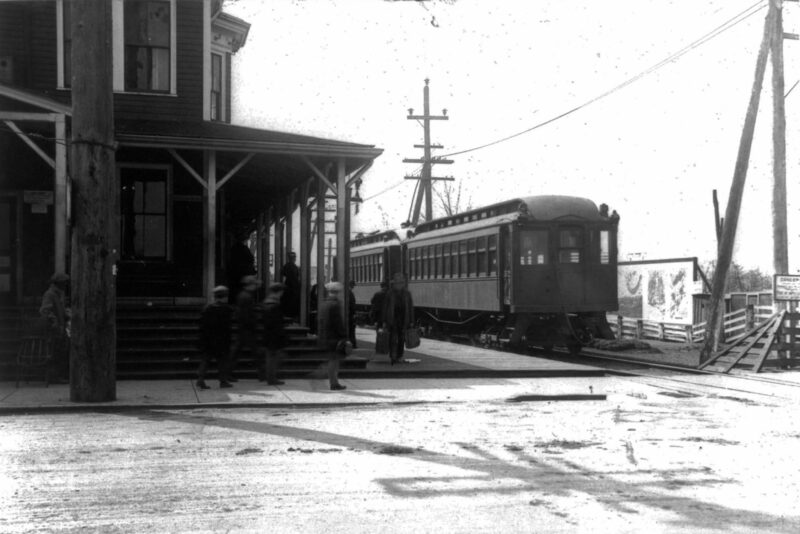 The Interurban also hauled goods. Farmers could finally ship their goods to Seattle or Tacoma in less than an hour. One of these cars was known as the “spud” because of its original service to the potato growers in the valley. Freight accounted for 20 percent of the operation. Some farmers sold their crops for use by the train company itself. The train ran on an electrified third rail in rural areas or an overhead wire in the cities to power it. A bonus benefit that came from this was towns in the Valley finally got a dependable source of electricity. Kent was where the train barns were located. Here they were cleaned daily and stored when not being used. Kent’s Depot on Meeker, besides being a train stop, also had an upper floor that was used as a dormitory for some of the train crews. The Puget Sound Power and Light Company bought the Interurban in 1924. However, soon more and better paved roads, like the construction of State Route 99, led to the demise of the Interurban train. People preferred driving and ridership declined. Ironically, the Interurban often carried bricks from the Denny-Renton Clay Company that were used to improve the Valley road system that took its customers. The last electric train ride between Seattle and Tacoma was on December 30, 1928. The equipment was auctioned off for $348,750 in 1930, the right of way fences to keep people away from the third rail rotted away, and the rails were ripped up and sold for scrap. The cars either went to other projects such as transporting workers to build dams on the Skagit River, to lumber companies, or became kitchy restaurants in the area. Puget Sound Power and Light Co. (now Puget Sound Energy) used the right of way for their power lines once the train was gone. In 1977, the Utility granted a “recreation easement” on 16 miles of the former railway between Tukwila and Pacific. Using federal and local funds, the cities of Tukwila, Renton, Kent, Auburn, Algona and Pacific entered into an agreement for development, maintenance and administration of the Interurban Trail. The dedication ceremony for the trail was on June 9, 1984. 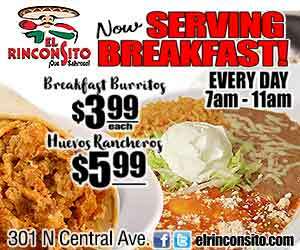 Today the trail runs past commercial and light industrial areas, agriculture, views of Mt. Rainier and backyards. 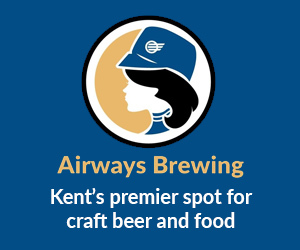 It provides access to the Southcenter area, Renton Junction, downtown Kent, the Green River Trail, Emerald Downs, historic downtown Auburn and the communities of Algona and Pacific. There is a historical railway display at the Jovita Crossroads Trailhead park in Edgewood and the Milton segment descends toward Tacoma through the forested canyon of Hylebos Creek. There are long-range plans in the works to link the last of the segments together. The next time you take a bike ride on the Interurban Trail, know you are sharing the same space as a commuter train that was ahead of its time, 89 years ago.